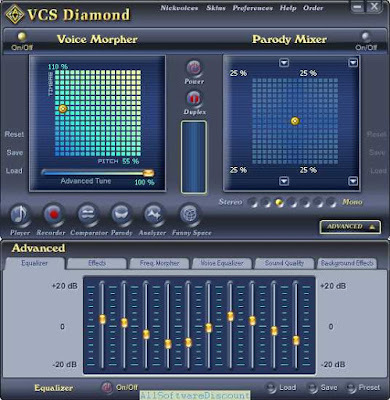 Voice Changer Software 8.0 Diamond is known as latest update and most elite version of the VOICE CHANGER SOFTWARE series has just been released in late 2013. 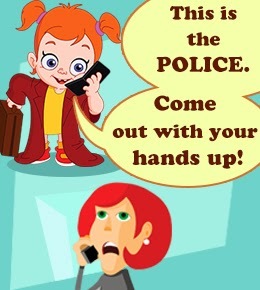 It is well-improved in both voice changing features and user guide interface (GUI) make it better than ever in making prank calls. Which software program you are using for making calls? Nowadays, people use VoIP (voice over IP) applications of instant messenger for making low-cost calls to landlines and mobiles. So, which one you are using? This is not really matter because the program can be set up easily to work with any of those available on the Internet. And below, I will show you how to do this! For this very first step, you should have known some easy steps to control Voice Morpher panel. That's simple, you just need to make adjustments with the Timbre and Pitch graph still getting your desired output voice. It may be any thing or any one, e.g., Optimus Prime (Transformer Movie), Yoda/Darth Vader (Star Wars movie). This is very important step to make the voice changer diamond work with any applications without any making further settings for each application. And, just don't worry because you can always reverse the settings back in seconds if you face any problem with these changes. 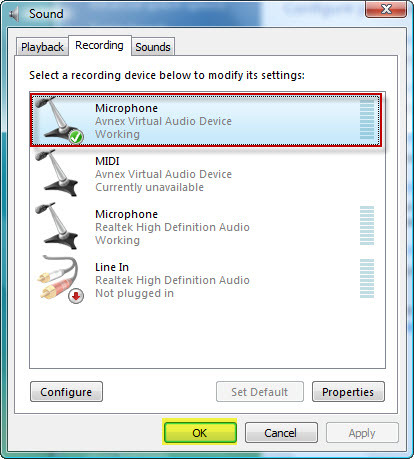 Open the System recording devices settings and select AVnex Virtual Audio Device as default device. 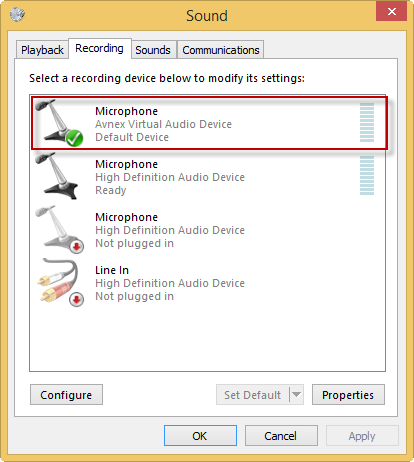 ** Please be noticed that, the device only available if any edition of AV Voice Changer Software already installed correctly on the system. 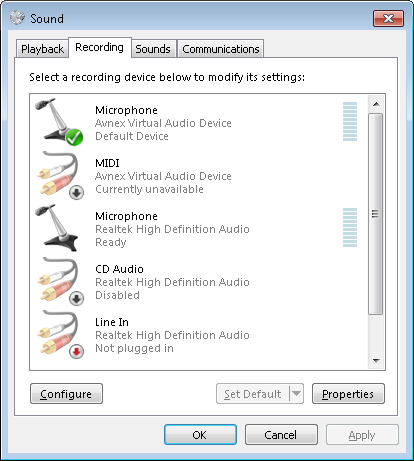 Start » Control Panel » Sounds, Speech, and Audio Devices » Sounds and Audio Devices » find the Audio tab and select AV Next Virtual Audio Device under Sound Recording's Default device. 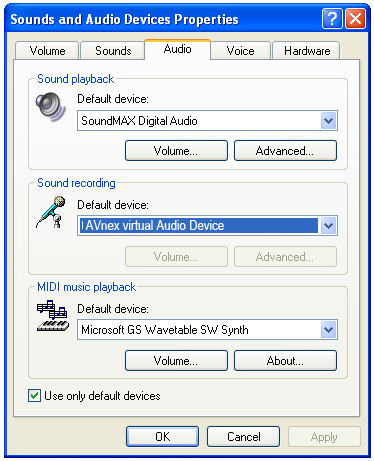 Start menu » Settings » Control panel » Hardware and Sound » Audio Devices manager » Switch to the Recording tab, change the Sound Recording Default device to Avnex Virtual Audio Device for all devices. Within the Windows Start screen, type “sound” to open the search bar. Select Settings in the search bar, then select Sound from the search results. From now on, every time you want to make a prank call with your voice being changed, you just need to open the AV Voice Changer Software 8.0 Diamond along with your VoIP or instant messenger programs.